Long time I wanted to bake this; but never had the chance! Preheat your oven to 200°C. Place the pastry on your plate and precook the pastry during 10 minutes. In the meantime peel and dice the rhubarb. Fry the rhubarb with the butter for 3 minutes. Mix the egg with the sugar and the cream. Spread this mix and the rhubarb onto the precooked pastry. Place in your oven for another 40 minutes and enjoy! 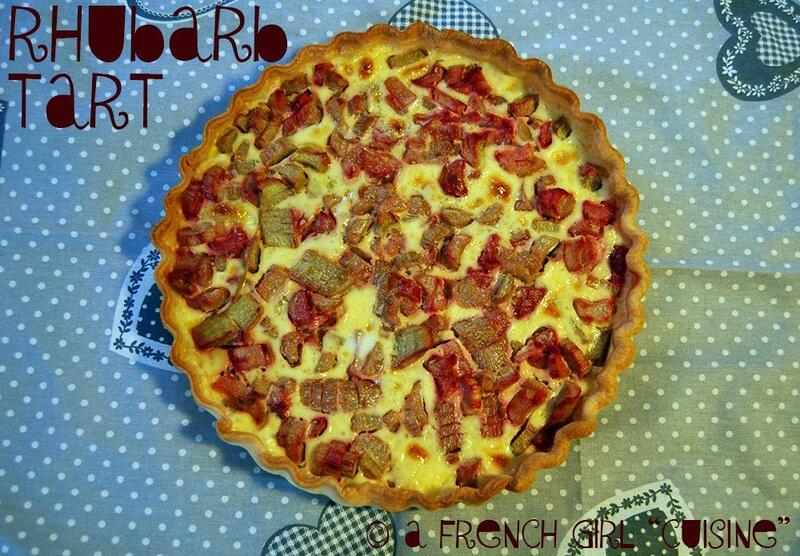 What a fantastic recipe, I love the combination of cream & rhubarb! Looks good. I made your tarte tatin last week. Loved it as it was a whole new different taste for me. Keep blogging. Your recipes are wonderful!